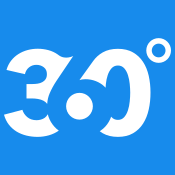 Site Search 360 is a smart, ad-free search bar for your website. With a simple integration, get your search up and running in no time! Let your visitors find exactly what they are looking for, right away. At clicking on "Install App" our app will instantly fetch your shop data for indexing. You will be redirected to our control panel and automatically logged in (the first password you will get via e-mail). Our dashboard will then show you a few basic statistics like the number of search queries or the number of pages we have indexed. Under the "Plugin Config" menu item you will be able to customize the design of the whole search interface. You can also tweak the search engine under the "Search Control" section, e.g. in order to give a boost to your most important products, or redirect specific search queries directly to a desired page. You might need to wait a few minutes to see all of your products in the search results. Generally, you can expect us to take around 15 to 20 minutes to prepare several thousands products (but no worries, the search will still work). If you have some questions you can look up on our FAQ or our documentation. Analytics to help you get the most out of your search: what your visitors look for the most, what results they click on, what queries bring no results, etc. To provide our site search solution we fetch product data (price, categories, tags, descriptions), blog articles and textpages (your sites on Ligthspeed eCom). You can check our terms of service over here. For questions send an email to [email protected].